The commission said it had forwarded a confidential list of suspects to the UN's High Commissioner for Human Rights, Zeid Ra'ad Al Hussein. Those named comprise three state governors, 33 generals and five colonels. The UN commission said soldiers and officials loyal to President Salva Kiir and rebel leader Riek Machar were both responsible for crimes. It dismissed arguments that indisciplined soldiers might be to blame. Both the government and rebel "military hierarchies functioned effectively in terms of issuance, transmission, and respect for orders," it said. It found widespread looting and deliberate ethnic attacks on entire communities and villages, with the "destruction of dwellings... on an industrial scale." 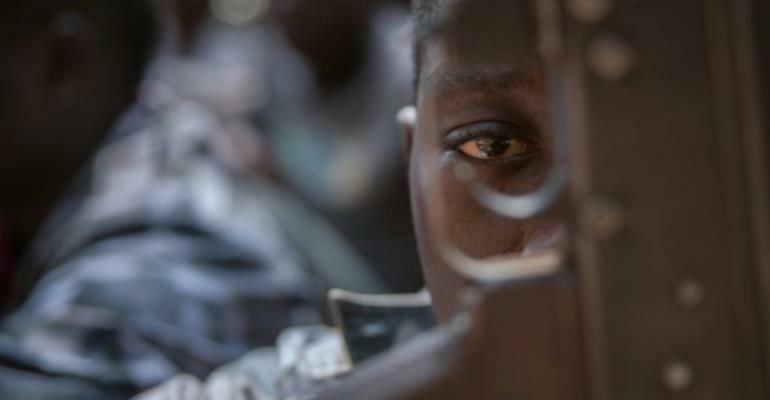 The South Sudan war began as a battle between Kiir's majority Dinka tribe and Machar's Nuer. But it has since metastasized, spreading and fragmenting, while feeding on local grievances and long-standing ethnic animosities over access to land, resources and power. Disgust at the latest evidence of brutality was widespread. Britain's foreign minister Boris Johnson said on Twitter, "Reports of atrocities in South Sudan are among most troubling I have seen. Sexual violence being used as weapon of war against women, men, children & elderly victims. UK supports peace efforts but S Sudanese must honour ceasefire for the sake of their people." The last ceasefire, signed in December, was broken within hours while the latest round of peace talks in the Ethiopian capital Addis Ababa have stalled. Seif Magango of rights group Amnesty International said the UN report demonstrated "the critical need to establish the Hybrid Court for South Sudan". The report "should jolt the world into speedy action to address the horrific human rights violations that have continued unabated for four years of conflict in South Sudan," he said.